Application Closing Date 19th April, 2018. SFAS Rules, Confidentiality, Time Management, Data Entry Management, General Math Skills. *A certified veterinary doctor with current VCN licence. *Conversant with livestock markets,ranches and trade in the area. *Sales/marketing and negotiation skills will be an added advantage. Job at KentParse Consultancy in Lagos. Responsibilities involves creating business strategies for the brand promotions as well as pushing these strategies. Send CV’s to: rita@kentparse.com. Deadline 30th June, 2018. Location: Lagos, Abuja, Port Harcourt and Kano. 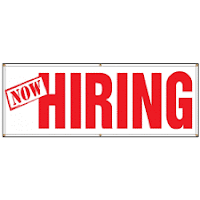 Experienced/Professional Dispatch Riders Needed in Lagos, Abuja, Port Harcourt and Kano. Send CV to info@feminikng.com with Dispatch Rider as subject of mail. An Advert agency in Lagos is recruiting. To apply, send your CV and portfolio (for Art Director role) to careers@centrespreadgrey.com, using the role applied for as the subject of the email. A young female accountant is needed at codstone properties. 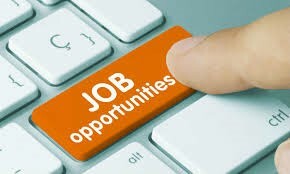 Teefum Travels and Tours Limited is recruiting to fill the position of a Ticketing and Reservations Officer. Do you have the skills to design and handle a hospital social page? Vacancies for social media and graphic design manager. Qualified applicants who must be based in Abuja should forward CV to employmenthousingtv@gmail.com. Send your CV to: hr@kblhealthcareng.com Only shortlisted candidates will be contacted. CV should be submitted at 19 Libravile crescent Wuse2, Abuja. Preferably: Young,Beautiful and Intelligent lady good in telephone and business development skills.